Good morning, homeschool families! We have several exciting programs this month that we are excited to share with you! 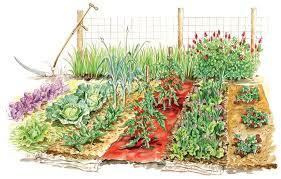 We’re planting a vegetable garden, and we want your help! Join us for some STEM fun as science professionals from the Alabama Green Industry Training Center teach us how to plan, start, and maintain a garden full of healthy, yummy vegetables. Be sure to wear clothes that can get dirty, because this science program will be hands-on fun! Ages 5 – 12. Registration required. The International music duo Four Shillings Short are coming to town for a special concert celebrating the music, poetry and storytelling tradition of Ireland. The husband/wife duo of Aodh Og O’Tuama from Cork, Ireland and Christy Martin will bring the history, legends, and traditions of Ireland to life in a captivating concert “A Celebration of Ireland” – featuring music, poetry & stories from the Irish Tradition. Join us for this exciting musical event. All ages welcome, no registration required. March is ‘in like a raptor and out like a song bird’ with a visit from the Birmingham Audubon Society and Teacher Naturalist Helena Uber-Wamble. Ms. Uber-Wamble will be presenting Birds and Beak Adaptations. Homeschoolers will discover what birds eat by examining the shape of the bill. While rotating through interactive stations, students will determine how the beak is used in gathering food. Students will then be able to determine what a bird eats while examining several bird skulls. Ages 8-12. Registration is required. We hope that you and your families will be able to attend some of our very special spring programs at the North Shelby Library!